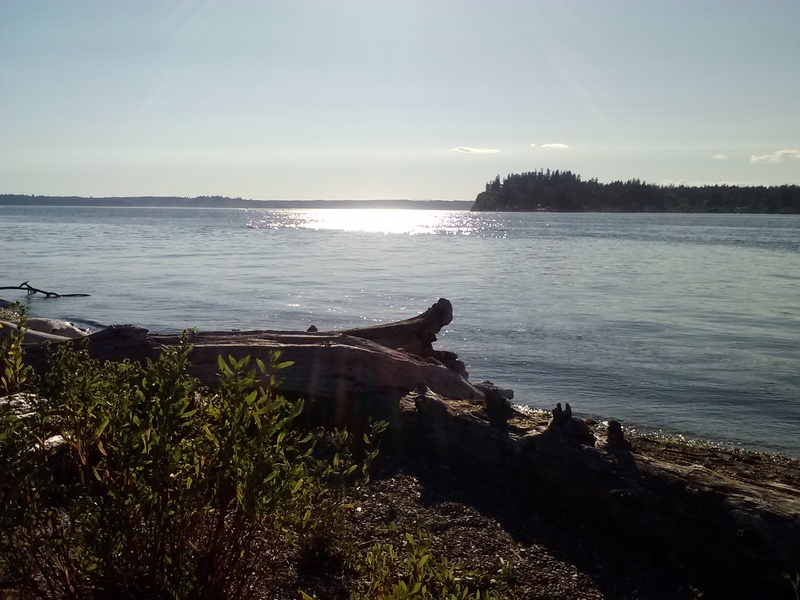 There are a lot of great things about Fox Island, but I’m convinced that one of the best (and a fairly well-kept secret) is the DeMolay Sandspit and Nature Preserve at the end of Bella Bella Drive. The 3.5-acre property was acquired by PenMet Parks from the Tacoma DeMolay club in 2010 and, amazingly, it has stayed pretty much off the radar since then. We love to take our dog there for a romp in the water (there is an off-leash area), and our grandkids, too, when they come to visit (they are thankfully not restricted to the off-leash area!). There is a sandy area on one side of the spit just perfect for building sandcastles. And when the tide is out, the beach seems to stretch forever . . .
One reason for the low profile is that that the sandspit, while enjoyed by residents as a recreational area, is a nature preserve. Park officials, in cooperation with biologists, have gone to great lengths to ensure that the park is restricted to low-impact activity, with special care given to protecting the sandspit vegetation. PenMet Parks actively observes the effects of public use, and stands ready to adjust the rules and attendance limitations as necessary to continue protection of the property. 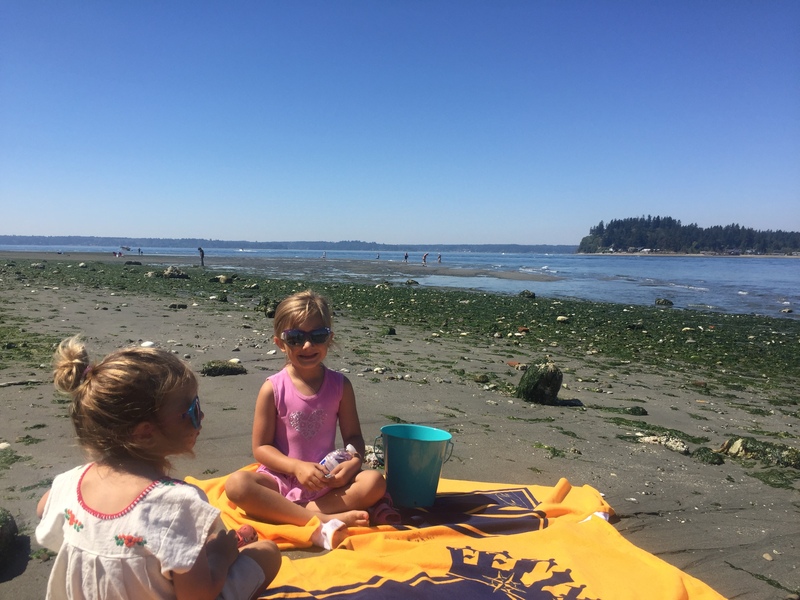 Besides a great place to exercise the dogs and the grandkids, the spit is a beautiful place to relax with a book, splash in the clear water, paddle a kayak, have a picnic, explore the trails, or look for clay babies. 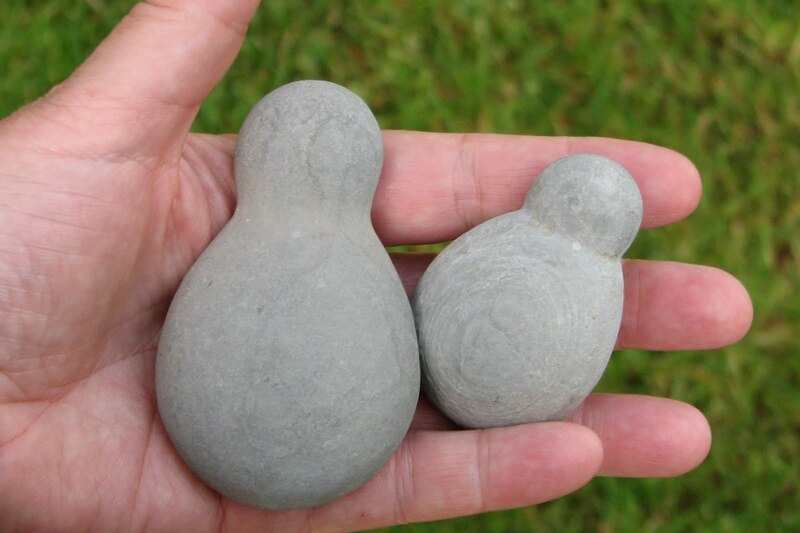 What’s a clay baby, you ask? They are a phenomenon found only two places in the world . . . New Zealand and Fox Island. Now how crazy is that? 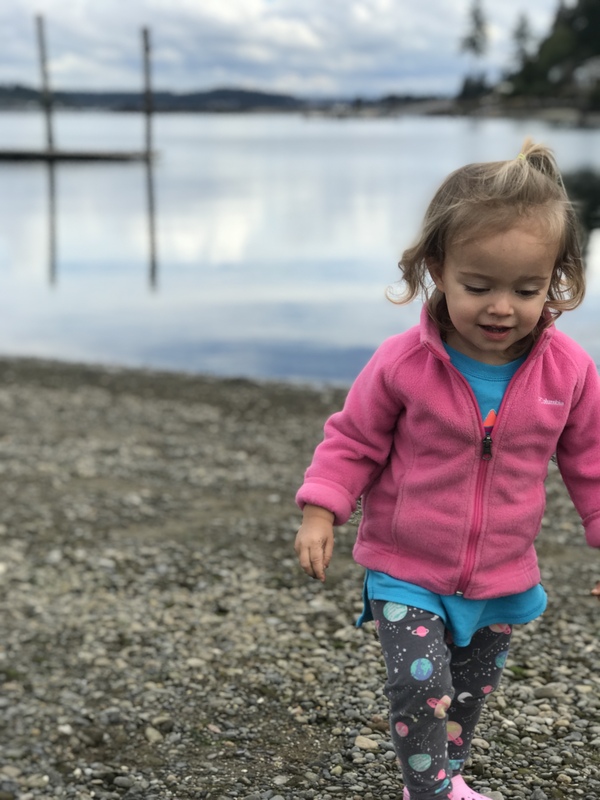 Just a few weeks ago, our youngest granddaughter was visiting from Eastern Washington and where did she want to go? The beach, of course! And we were more than happy to take her there for some good fun on the beautiful seashore. 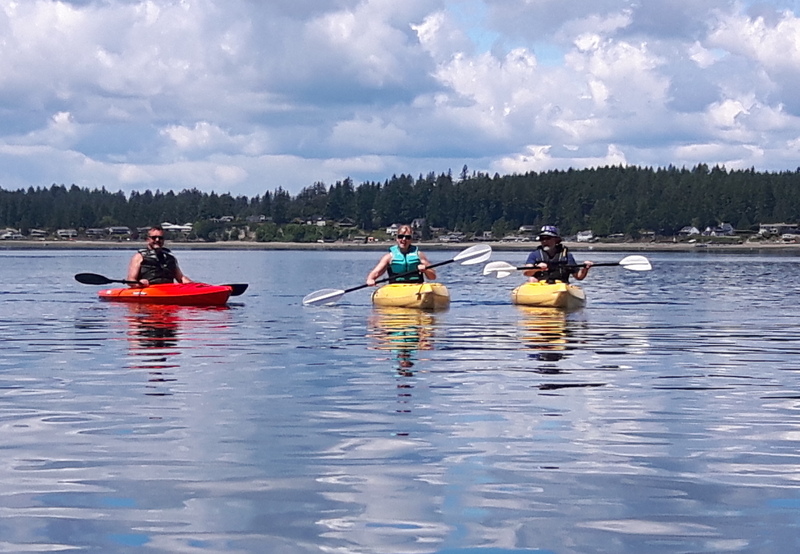 The DeMolay Sandspit and Nature Preserve (also commonly called “Bella Bella Beach”) can be reserved for organized camps and small gatherings; click here to view and download the Facilities Brochure. For reservation information, contact PenMet Parks at 253-858-3400, then press Option 6 from the menu. Check it out and enjoy! Doug Lawrence is a Fox Island resident and big fan of what the island and surrounding Gig Harbor area have to offer. “Love where you live!” is his motto. A licensed broker with Keller Williams West Sound in Gig Harbor, his specialty is helping buyers and sellers find their best deal and live the life of their dreams . . . in the Gig Harbor/Fox Island area and anywhere else those dream might take them. You can reach him at dlawrence@kw.com or 253.341.5287 for all your real estate needs and questions.